An atypical bio for an atypical man/author/artist. 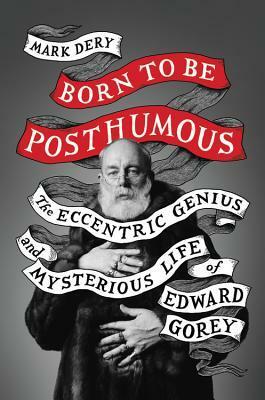 Gorey’s an inspiration to the likes of Tim Burton and Daniel Handler (Lemony Snicket) a la his dark humor and love for Edwardian & Victorian macabre stories. This book is interesting because it’s almost more a speculative understanding or maybe a projection by Dery. Still it’s a fascinating compilation of information about such a mysterious artist. Purchase Born to be Posthumous in our Online Store Now!